The Seasons St. Catharines project consisted of the construction of a 6-storey retirement residence in St. Catharines, Ontario. The building was to have a partial basement and was to be built using shallow spread footings and slab-on-grade. The site is situated at the top of a relatively steep slope along Twelve Mile Creek. The soils in the building location consisted of a significant compressible clay deposit, up to 22 m deep, overlying a dense glacial till. The clay was determined to be unsuitable to support the footing loads without substantial settlement. The water table was found to be approximately 10 m below the existing ground surface. 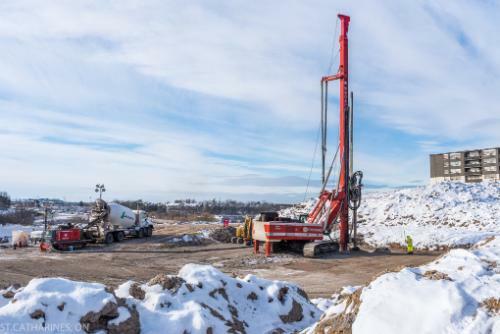 Controlled Modulus Columns (CMC) were determined to be an ideal solution for the site’s challenging soil conditions. The CMCs were installed through the compressible clay layer and anchored into the glacial till below. CMC installation was carried out at two different platform elevations to accommodate the basement level. Specific design work was carried out to support elevator shafts, staircases and the crane pad. Work was carried out late in the season, so winter work presented its challenges. 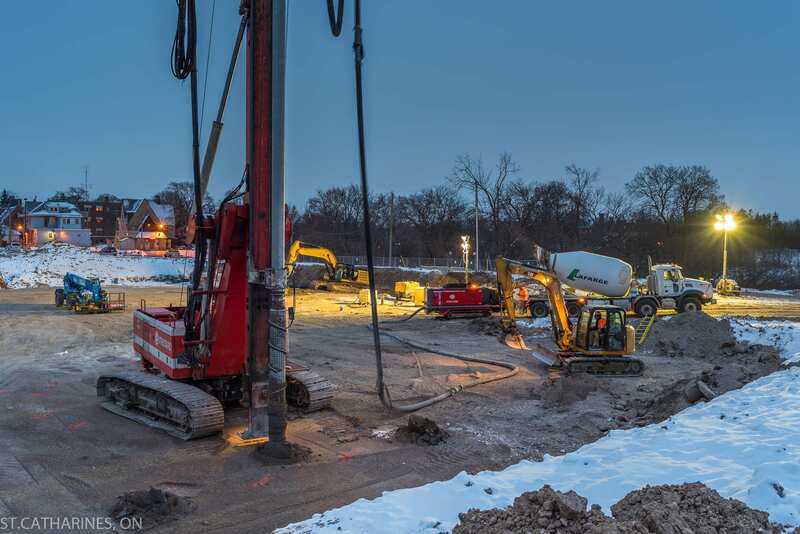 Menard was able to complete the CMC work in temperatures as low as -10°C in order to meet the client’s schedule. 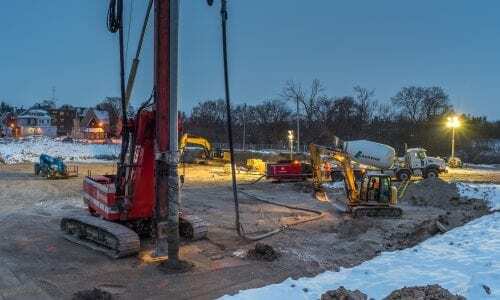 Over 500 CMCs were installed beneath the footings and sections of slab-on-grade to depths of up to 23 metres. Capacities of the CMCs were verified by means of full-scale static load testing.